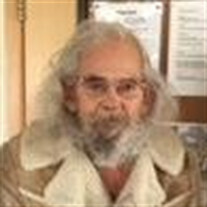 Ronald W. Thomas, 75, of Cheyenne died April 2nd at Cheyenne Healthcare Center. He was born March 2, 1944 in Cheyenne. Cremation has taken place at Cheyenne Memorial Gardens. The family of Ronald William Thomas created this Life Tributes page to make it easy to share your memories.